Tencel Fabric® is a sustainable fabric which is regenerated from wood cellulose. 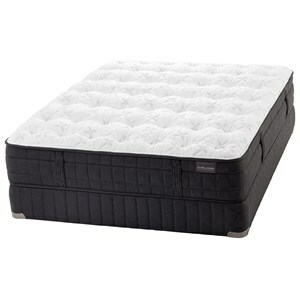 Its attractive look, soft feel, and its flexibility perfectly compliment all materials in an Aireloom mattress. 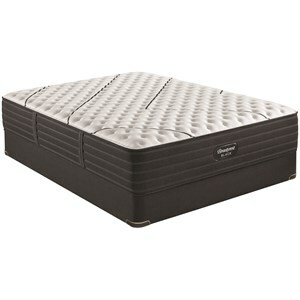 We’ve pioneered a natural chamber between the springs and the mattress-top that allows every element to breathe. When the chamber meets the adaptive layers of plush materials, the bed completely synchronizes with your body. It can only be described as a lift. Joma wool layer gives you naturally breathable fibers that help regulate body temperature and keep you dry while you sleep. You will stay warmer in the winter and cooler in the summer while experiencing the ultimate in pressure relieving comfort. Joma wool is more resilient than other fine wools so the topper keeps its shape for a much longer time than regular wool. Talalay latex helps the body maintain a consistent body temperature throughout the night while experiencing the comfort, pressure relief and health benefits of natural Talalay latex. Organic Cotton is naturally breathable and adds a substantial luxury feel to the mattress. More importantly, Organic Cotton gets firmer with use while all foams get softer with use. 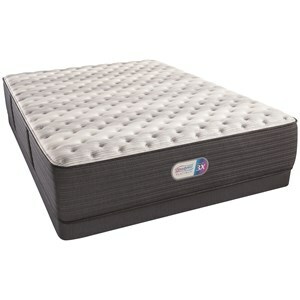 Karpen Luxury mattress maintain a more consistent feel for a longer time than other mattresses. Individually Wrapped Coils allow each coil to react independently from each other allowing more specified support that will adjust to every shape and motion transfer is minimized. 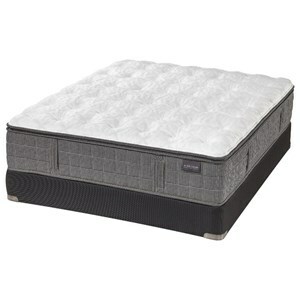 The Cardiff Extra Firm King Mattress and Low Profile Foundation by Aireloom at SlumberWorld in the Honolulu, Aiea, Hilo, Kailua-Kona, Maui, Hawaii area. Product availability may vary. Contact us for the most current availability on this product. The Cardiff Streamline™ Extra Firm Mattress, from the Aireloom Sterling Preferred Collection, is a luxury mattress. Only the best quality components are used to create Aireloom mattresses, including Silk, Wool, Cotton, CelsionPLUS™ Talalay Latex and more, to create a truly special bed. Layers of comfort, like convoluted foam, Aireloom Lift™ and Firm Airelux™ foam, create a firm and supportive mattress, that is luxurious comfort and built to last. The Cardiff Extra Firm collection is a great option if you are looking for Mattresses in the Honolulu, Aiea, Hilo, Kailua-Kona, Maui, Hawaii area.